Organisers from across Europe gathered for the annual Hope for Europe Round Table to prepare for the HOPE•II Congress in Budapest, May 9-13 next year. A thousand leaders from across Europe are anticipated. Five aims for the event have been outlined as follows. One: to nurture a culture of hope for Europe. Pessimism and fatalism about Europe still seem to dominate even in Christian circles. Yet surely it is always God’s will that his will should be done–also in Europe! Jesus taught us to pray for God’s kingdom to come, his will to be done–in Europe as it is in heaven. That’s what he wants. Hope is not based on present circumstances. The Holy Spirit has a way of breaking out in new expression at the most depressed moments of history. Some see evidence of a diabolical plot behind the EU, and no doubt the enemy has his strategies. But this is all the more reason for believers to be salt and light in society, notto withdraw from the publlic square. The congress will highlight signs of hope in Europe, including unprecedented prayer movements, new expressions of church, ‘new European’ immigrant believers, new ecumenism of the heart, and recovery of a wholistic gospel. Two: to promote body-life or networking beyond local church expressions, across cities, nations and the continent. When we talk of body-life, meaning various parts of the body working together, we usually think within context of local churches. But what does body-life look like across a whole city, with churches and organisations relating, communicating, praying, strategising, evangelising and celebrating together? What forms can this take across a whole nation? across Europe? Often it seems the world cooperates more readily than we do in our different churches and organisations. Countless networks link Europeans across such fields as government, business, transport, media, sports and education. Hope•II aims to promote body-life on these levels with two days of network consultations in a dozen hotels around the city. Three: to encourage Europeans to think and act European. Paradoxically, Americans living in Europe tend to look at Europe as a whole more than Europeans. Europeans find it hard to think European! Where do courses of European studies exist from a Christian perspective in Europe? I know of only three such courses across Europe. [Redcliffe College is one of those, out of which this blog originates – europeanmission] Since the Reformation, Protestant believers especially have thought in terms of national churches. We train our church leaders for local church roles, but few are trained to think nationally or on a European level. The political climate in several countries tends toward isolation and withdrawal. Yet, loving our neighbour as ourselves is a command to be obeyed at international levels too. 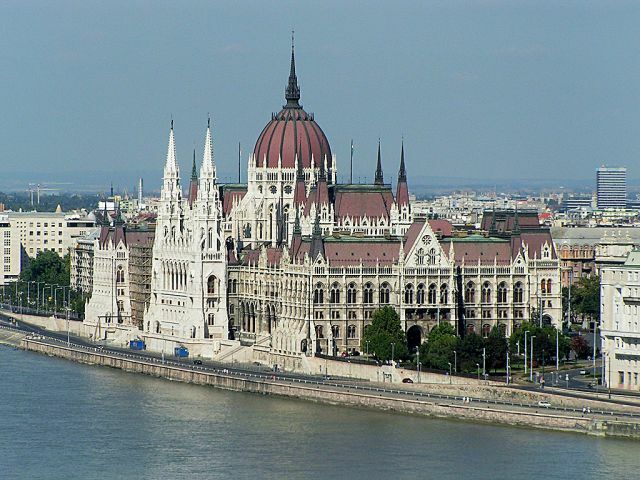 We are inviting church leaders and educationalists to join us in Budapest to consider ways to promote engagement with Europe and European thinking. Four: to restore biblical perspectives on Europe’s past and future. This week in Germany, Chancellor Angela Merkel said that Germany’s problem was not too much Islam but too little Christianity! She said it was time to talk about the Judeo-Christian values on which German identity was based. Even we as believers have forgotten–or are largely ignorant of–how much the Bible has shaped our lives, our societies, our identities. Some of our plenary speakers, including Dr Vishal Mangalwadi and Dr Philip Jenkins, will address this ignorance. Five: to seek effective engagement with challenges of the present. Issues facing us all across Europe today include secularism, the rise of Islam, new spirituality, political polarisation, human trafficking, the challenge of sustainability, among others. HOPE•II is a place to learn from experts and from each other in plenaries and consultations. Rev Dr. Darrell Jackson of the Nova REsearch Centre and author of the europeanmission blog will be one of the plenary speakers at HOPE II. A recent posting of an English essay by Jose Casanova points to the presence of Islam in Europe as a benchmark of European liberalism versus illiberalism. The article will stretch but is written by an important social scientist and commentator from Spain.